Have you heard of PINCHme? It's this exciting way of PINCHme members to try free samples from brands. 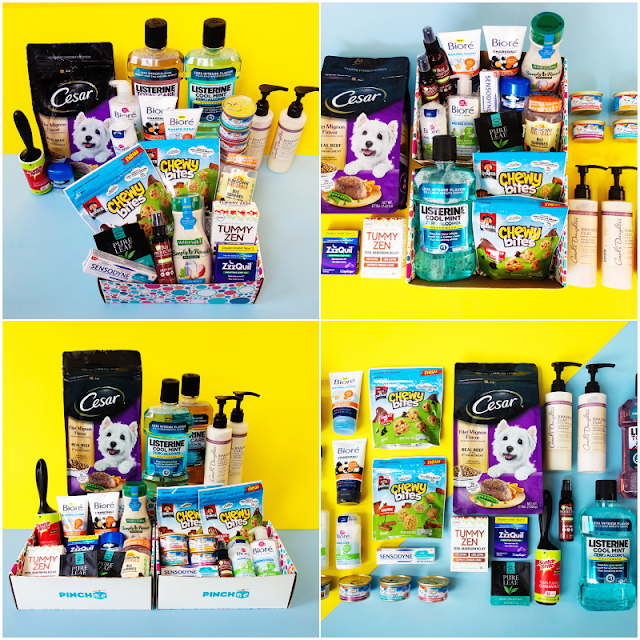 Samples range from beauty, snacks, baby, pet, personal care, cleaning products and household items. No gimmicks, its 100% FREE - no credit card required, free samples, free shipping. All PINCHme.com members have to do is review the products that they receive. So how do you actually get your samples? > Go to PINCHme and sign up to be a member. > On Sample Tuesday (One Tuesday of the month), PINCHme gives you an array of samples that matched you and you are welcome to select the samples that you want to try for your PINCHme box. > No credit card required, you get your box shipped to your doorstep. *Given the 100% free nature of our platform, we cannot guarantee that all members receive a box on Sample Tuesday. There are many factors that impact who qualifies for samples, including the volume of samples we have available and the targeting specified by our brand partners (at any given time). PINCHme Sample Tuesday will be on June 20 so hurry and sign up and complete your surveys and profile to get the chance to pick your samples on the 20th. Become a part of something bigger than the box. Join over 2.8 million members across country! PINCHme has kindly sent me a Blogger Box which comprises of past and future samples. Included in this box are some items for the June 20th, Sample Tuesday! Who's excited? I clearly am! I received a whopping 11 items, the most I have actually received to sample. I'll break down each product for you as some of these I've already tried in the past as well. I'll start off with beauty and personal care products since that's what gets me instantly excited. I have surprisingly received 4 Biore products and I am ecstatic about it. Throughout the years of blogging, I have reiterated several times how I prefer Korean skin care products than Western skin care products because they are milder and suit my skin really well. I only have a handful of favorite Western skin care products and Biore is actually one of them! I have practically tried all facial cleansers from Biore and I love them all! My all time favorite product is their Blemish Figthing Ice Cleanser mainly because of it's cooling sensation. Sadly, that is not included in this sample box. With a combination of salicylic acid and charcoal, it removes dirt and oil build up from the pores. Charcoal draws out the impurities and traps them to eliminate breakouts. I've tried this one a long time ago and it is a great cleanser for acne prone skin. I quite enjoy this. The charcoal ingredient really works in clearing out the pores although it doesn't minimize it. Powder to foam formula activates with water for a deep clean and gentle exfoliation. >Great for all skin types, reduces skin texture. Deep cleans to remove dirt and impurities from the pores. This provides gentle exfoliation without stripping the skin too much of it's natural oils. It also gradually brightens and lightens up acne scars and hyperpigmentation. A combination of baking soda and salicylic acid to exfoliate skin and clear acne. It unclogs pores and balances skin to reduce breakouts. This is one of my go-to Biore scrubs whenever I get a massive break out which happens once every couple of months. It reduces skin texture, making the skin smoother, and helps hasten the life of your pimple so you get clearer skin in a couple of days. Fresh, clear gel antiperspirant and deodorant that provides all-day protection from wetness and odor. For years, I have averted to using men's deodorants rather than women's because I sweat too much for a lady. Nothing really worked until I switched over to using men's deos although the clear gel formula never really worked quite well for me. Fresh scent, like. Clear gel, dislike. Sweat test, fail. Smell test, pass. Verdict = 50/100. Personal opinion guys. Gynecologist-tested with a clean, fresh scent that stops oder before it starts. I normally don't use feminine cleansing products, mainly because I believe in just using mild soap and water so that it won't disrupt my feminine pH balance. However, summer means sweat and what other part of a woman's body is covered up and also sweats throughout the day? Yep. Your pubic region. This product works. Period. Shampoo and conditioner for damaged and over-processed hair. Made with almond oil, aloe butter and proteins, it helps strengthen hair from root to tip and helps to defend against future breakage. I don't dislike it, I don't love it either. What I don't like about sampling a shampoo and a conditioner in a packet is that I can't really form an opinion on the product because it's only good for one use, the most, two. This product smells great. I'm not picky with my shampoo as I am with my conditioner. I like really rich and moisturizing conditioners for my color treated and damaged hair and although this product specifically targets that area, I think it is not rich enough in my personal opinion. All natural, DEET-free bug repellent that provides protection against mosquitoes, gnats and other biting insects. Made from ingredients like Lemongrass oil, Geranium Oil, Peppermint, Cinnamon Oil, Castor Oil and Vitamin E, I already know that this would smell good and would work, The only thing missing from this list of wonderful ingredients is Tea Tree Oil. Sprayed this on the night I received my blogger box because I was grilling barbecue at dusk and I just didn't want any bug bites. My legs and arms survived! No bites, so it does work. And I personally love how this product smells too. Catalyst 100% Grass fed Whey - high quality pure protein in Belgian chocolate flavor. Sweet and tastes indeed like Belgian Chocolate. I love it. Definitely need that protein boost now that I'm trying to get back into fitness. Chewy, bite-sized granola pieces with chocolate chip. I love oats and granola bars. It's healthy and fills you up real quick so if you're extremely hungry but you're watching out for your diet, this can be a healthy guilty pleasure. You can't go wrong with chocolate chip granola bites. Remove pesky hair, fur and lint. Pretty much like any other lint roller. Can't really say too much about it except that it's the branding that you'll be paying for when you get it in retail. Are you getting excited now? PINCHme is really generous guys. You get to try the samples that you want from the ones that match your surveys all for free during Sample Tuesdays. Join PINCHme and join the PINCHme community. Hey, it's FREE!